Cell Science Systems was founded on a commitment to quality standards. We have taken the responsibility to obtain quality standards certifications at state, federal, and international levels. Every level has different guidelines and CSS has promised to meet and exceed all certification requirements. For decades, our facilities have followed a golden standard of quality years before that kind of quality was mandated by the government. Along with our multiple certifications, we have an internal quality assurance and quality control team. 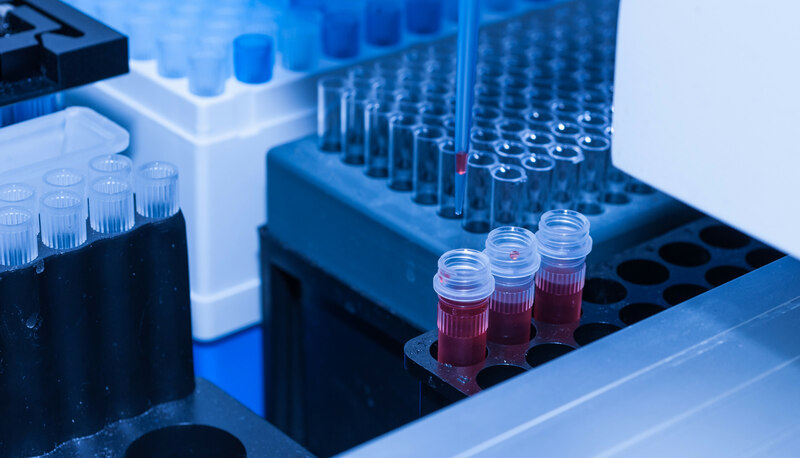 Every member of our lab facilities takes part in ensuring our testing and results are upheld to that standard of quality while maintaining both accuracy and objectivity. Today, we continue to bring in new initiatives to strive as a leader in laboratory quality. Our laboratory processes are highly automated and coordinated with each patient’s barcode using our customized laboratory information system. All systems, from instrumentation health, to quality control testing, to data integrity verification are constantly monitored in real time and displayed on screens throughout the laboratory. These systems are HIPAA compliant and provide validation and traceability that our laboratory functions were performed according to protocol. Each blood sample is received in the laboratory via an expedited courier while the cells are still viable. The Patient’s data and requested tests are entered into our secure laboratory information system. (Show accessioning process, the putting of bar code stickers on the tubes, etc.) All patient blood samples are barcoded for traceability, identification and tracking throughout the testing process. Each patient’s cellular profile is unique; therefore we first perform a preliminary test to determine cell number and distribution. Once verified the white blood cells (immune cells) and plasma are then isolated from the whole blood. Next, the patient’s white blood cells and plasma mixture is introduced to the individual test substances. A robotic system is used to pipette the patient’s white cell and plasma suspension into each well. The robotic pipettes have an error factor of less than 1%. We now have proportionate quantities of the patient’s sample (cells and plasma) added into each well. The test is patient specific. Certain wells are used as the control wells. What’s different about the control wells is that they do not contain a test substance, just buffer. The controls are used to obtain a baseline cellular distribution curve for each patient. That is, to see what the immune cell distribution looks like without exposure to any test substance. Next, the entire cassette is incubated at body temperature. Following incubation, the cassettes are placed inside the ROBOCat instrument that will analyze the white blood cells in each well. Now that the testing is complete, the systems will compare the baseline distribution against the test substance distribution, analyzing volume changes in the various cell populations. The area change between the two distributions depicts the altered cells in the particular test sample. The concept here is that regardless of the pathway, be immunologic or non-immunologic, the cells will show a reaction if that test substance activates the cells thereby indicating potential harmfulness of that substance to the patient. Researchers at Yale School of Medicine have confirmed that the cellular changes identified through the Alcat Test correlate with the process of degranulation of various white blood cell types wherein chemical mediators and free radicals are released.